Last week, The Norwegian Operations Research Society (NORS) the 1st NORS Master thesis prize award seminar and ceremony at SINTEF, Oslo. Since the start in 2014, SINTEF is active in the board and as member in NORS. NORS is an organization that gathers a community of researchers based in Norway, whose discipline -Operations Research (OR)- deals with the application of advanced analytical methods to help make better decisions. 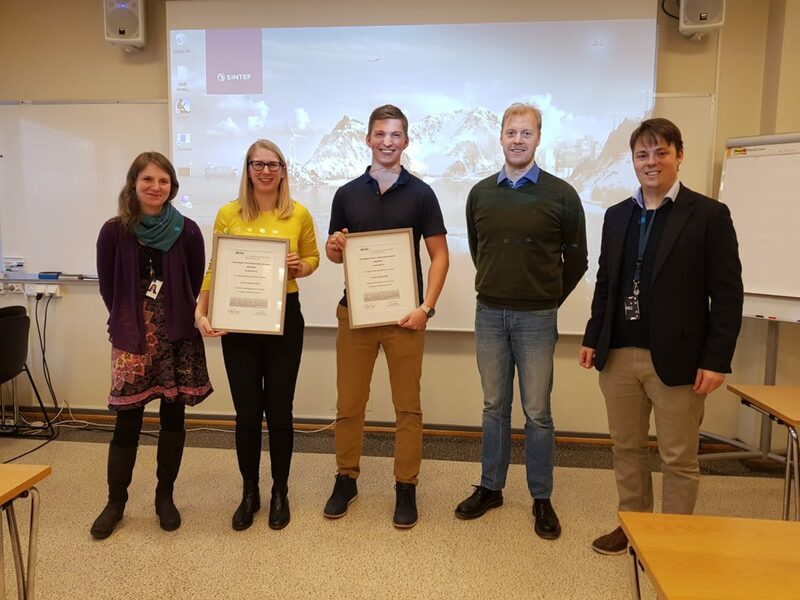 The 1st NORS Master thesis award was handed out to Carl Axel Aadne Folkestad and Nora Åsheim Hansen for their excellent work on improving the operations of car sharing companies. 1) How to optimally reposition rental cars such that they can be charged on time. 2) What is the best assignment of drivers and routes for service vehicles, including drop off of drives by rental cars and pickup at charging stations. Their algorithm advances the state-of-the-art and was applied to real-life data from an Italian car sharing company. The thesis was praised highly by the NORS scientific committee for the high quality and the novelty of their work in an important application area as urban logistics. In addition to their well-written Master thesis, Carl and Nora presented their work in the seminar with the same clarity as the thesis before receiving a well-deserved applause from the 25 attendees and 4 online participants.